HERAT, Afghanistan – By midnight, Khurshid, 35, was in serious trouble. Five months pregnant and bleeding heavily, she had passed out at home. 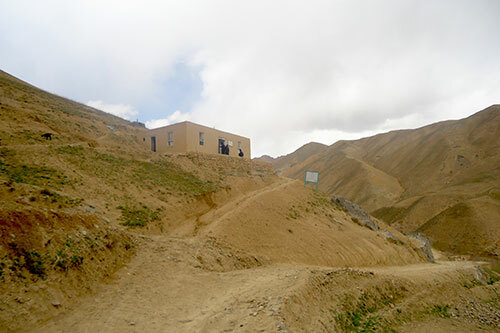 Her family carried her unconscious body to the nearest – and only – health station in Afghanistan’s remote, mountainous Chesht-e Sharif District. “Her state shocked me, but I knew quickly that it was a miscarriage,” recalled Amena, 22, the midwife on duty at the clinic, known locally as a ‘family health house’. Khurshid was at risk of bleeding to death – one of the most common causes of maternal death in the world. The vast majority of maternal deaths are preventable, yet pregnancy and childbirth continue to take the lives of hundreds of thousands of women every year. Most of these deaths take place in poor and rural areas with limited access to health care. 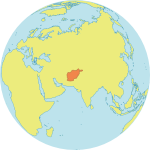 Afghanistan is one of these places. Women there face the highest maternal death rate in the Asia and Pacific region. Women have a 1 in 52 chance of dying from pregnancy-related causes, according to the most recent United Nations data. Amena knows these risks all too well. She worked rapidly to stop the haemorrhaging, and was relieved when Khurshid’s condition stabilized. Amena has worked at the family health house for around two years. The facility is one of 123 family health houses that UNFPA has helped to establish since 2009. These clinics, which are also supported by the governments of Italy and Canada, cater to remote and underserved populations in provinces like Bamyan, Daikundi, Faryab and Herat. Midwives and health workers are on call at all hours. They provide skilled birth attendance, family planning services, basic health care and referrals. 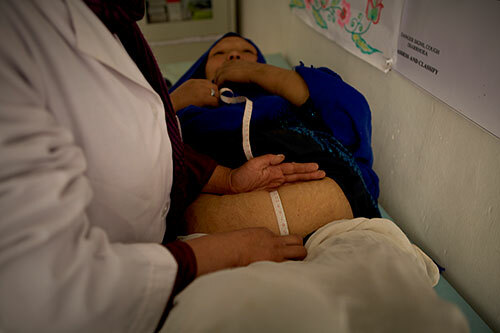 A midwife checks on a pregnant woman at a family health house. And UNFPA is working to increase the number of midwives available to provide such care. In a first for Amena’s home province of Herat, UNFPA has teamed up with the provincial Institute of Health Services to offer a community midwifery education programme. This programme recruits midwives from remote villages, then trains them to meet the reproductive health needs of underserved areas. The first group of 35 midwives will soon be deployed to family health houses across Herat. “At UNFPA Afghanistan we have been working with government partners to ensure quality, professional and regularized midwifery services to reach the furthest behind,” said Dr. Bannet Ndyanabangi, UNFPA’s representative in Afghanistan. And to further aid the far-flung midwives – who may have little assistance at their health facilities – UNFPA also supports a 24-hour toll-free midwifery helpline. Through the helpline, highly skilled midwives and doctors provide technical answers and advice when health workers encounter complex or dangerous cases. These efforts are slowly making a difference. Today, across Afghanistan, around 60 per cent of people live within an hour’s travel from a health facility, and 88 per cent live within two hours’ travelling time. As for Khurshid, she is happy to have survived. She took some time to heal at the family health house. Now, she is looking forward to going home to resume her life and see her four young children. “I feel healthy and am very much thankful to Amena, who has saved my life and helped me recover,” she said.